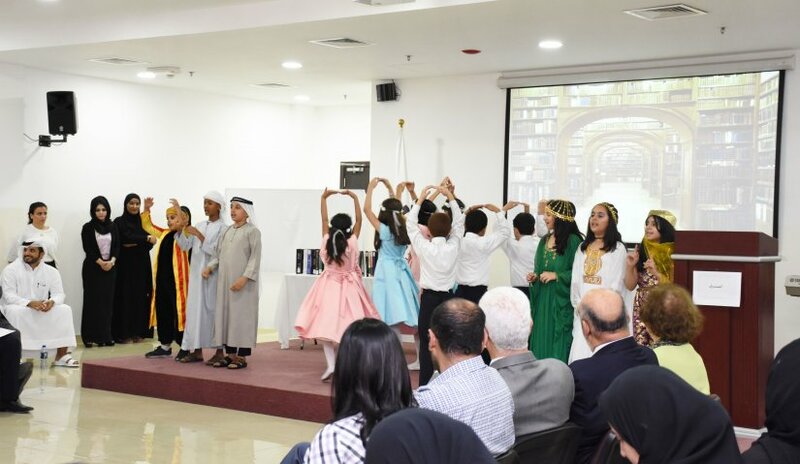 Al Falah University continued its series of activities for the "Year of Zayed". Yesterday 9th May 2018, an exhibition was launched to celebrate the life of Sheikh Zayed with pictures and video clips depicting the important events in the life of the late Sheikh Zayed bin Sultan Al Nahyan, may Allah have mercy on him. The exhibition showed pictures of Sheikh Zayed during the various stages of UAE’s emergence, development and subsequent prosperity. Several photographs also depicted the founding leader’s attendance to national events and a collection of historical documents. Prof. Abdelhafid Belarbi, AFU President and Dr. Sameer Barghouthi, Vice President for Academic Affairs attended the ceremony and welcomed Dr. Mohammad Al Qudsi, the first announcer to announce the union of the United Arab Emirates and representatives from Juma Al Majid Center for Culture and Arts. During the celebration, Prof. Belarbi affirmed that Sheikh Zayed remained steadfast in his words, deeds and historical contributions in the consciousness of his people and homeland and will remain a symbol of world peace and one of the most influential in the history of human civilization. Dr. Al-Qudsi stated that the "Year of Zayed" celebration is a reminder to remember Sheikh Zayed as an inspiring leader for everyone. The celebration not only included the exhibition but some presentations by AFU’s own students and students of Al Ahlia Charity School.